Prott Blog - Prott Viewer app is out on Android! I know you haven't heard from us in a while but we are back with some exciting news! We've come out with a dedicated Prott Viewer for our Android users (iOS to follow). We've created this app in the hopes of making the prototype viewing experience as easy and smooth as possible. We understand that there can be more than one prototype that the viewers may be looking at. 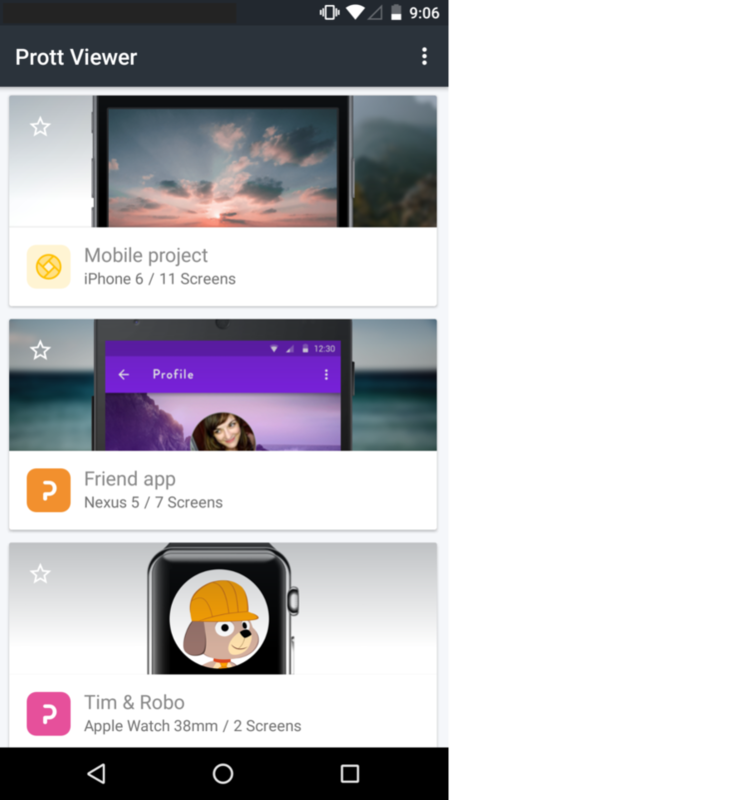 Therefore with the Prott Viewer app, viewers can store all of the prototypes in one place. This makes it easier to locate and keeps life a little more organized. Another useful feature that we've included in the Prott Viewer app is the refresh button (located on the top right hand corner of the app). Whenever there's an update to a prototype, instead of having to load the prototype, viewers can now tap on the refresh button to see the latest version of the prototype. 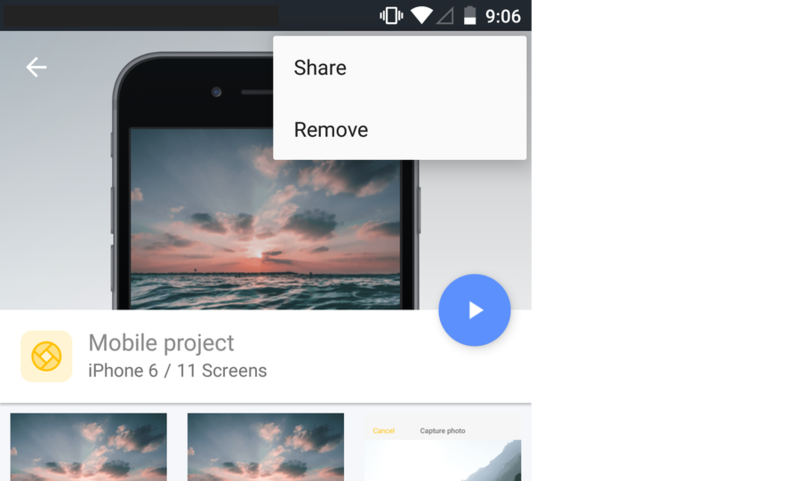 Viewers will no longer need to worry about being connected to the Internet to view the prototypes. Once viewers have stored the prototypes in the app, they will be able to view the prototypes offline meaning easy access, anytime, anywhere. What's more is that the viewers of the prototypes have the ability to share the prototypes with others as well. 1. Download the Prott Viewer from the Google Play store. 3. Select the prototype and hit play to begin viewing! * If you are a viewer of a prototype/project, and you don't have a URL link, contact the individual who wants to share their project with you. * If you are the individual who would like to share your prototype, but don't know where to find your preview URL, there's 2 ways to find it. From your Prott for Web account or from your Prott for Android account. We would love to hear your thoughts and feedback, feel free to drop us a line at anytime. More exciting Prott Viewer news to come. Stay tuned!